The outside lane of the frontage road will still experience periodic closures while curbing and median work continues. We apologize for any delays this may cause. Thank you for your patience. Huesta Creek channel work continues. Water quality pond construction in Huesta Creek channel continues. Tree planting in Huesta Creek channel continues. Installation of irrigation in Huesta Creek channel continues. Huesta Creek Trail construction continues. Installation of public art features on the Leon Creek Bridge. Leon Creek Hike and Bike trail work. Adjustment of utility manholes, meters and valves continues. Curb work at IH-10 continues. Traffic signal work at University Heights. 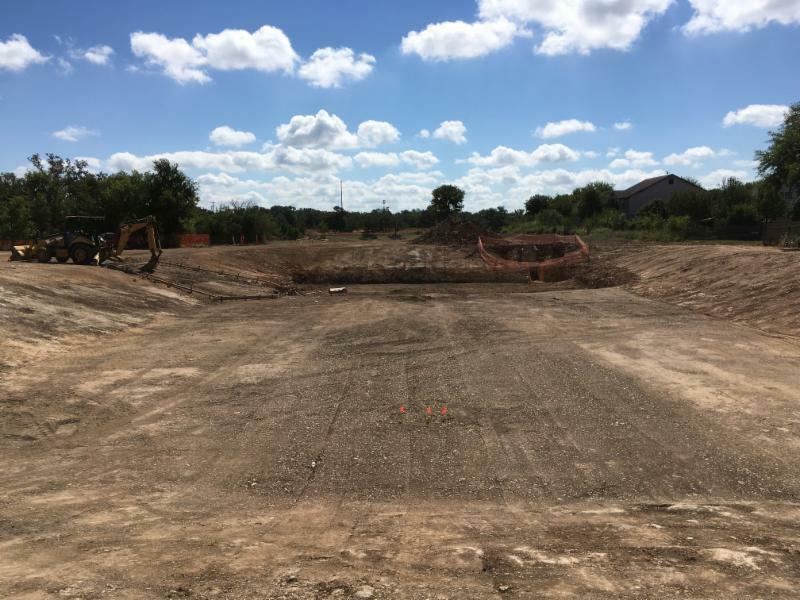 The Hausman Road project will reconstruct the roadway to four lanes from Loop 1604 to I-10. There will be two lanes of traffic in each direction. 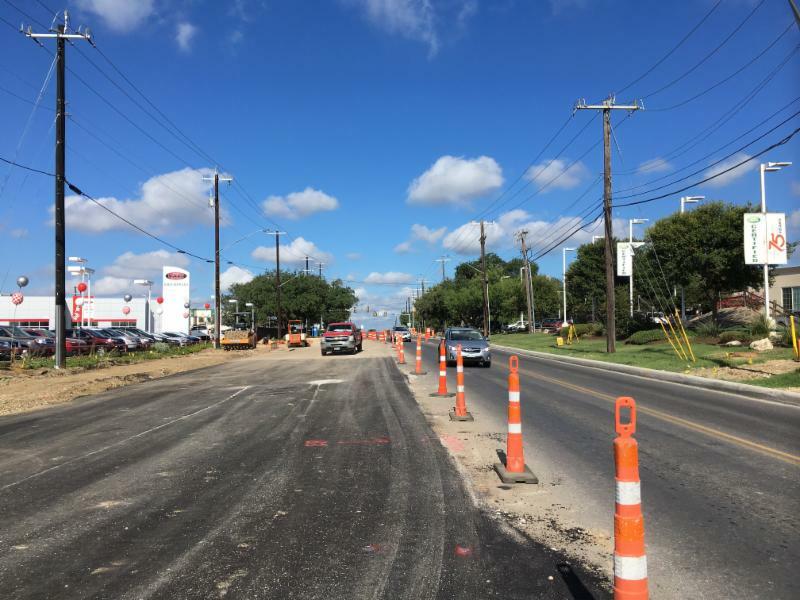 The project includes turn lanes at intersections, grassy medians in some areas, sidewalks on the north side of the roadway, new driveway approaches and drainage improvements. 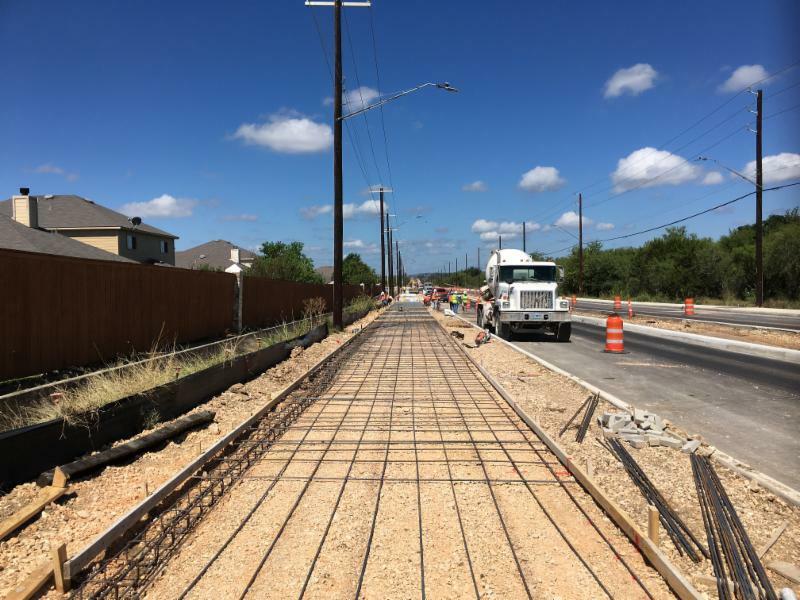 The project will also construct a 10’ concrete hike and bike trail on the south side of the roadway which will connect to the Leon Creek Greenway hike and bike trails. Q. How will this project make turning left from Woller Rd onto Hausman easier? A. There will be a 14' grassy median installed on the west side of the intersection. Vehicles will be able to pull out alongside the nose of the median to wait for a gap in westbound Hausman traffic. Q. Will the City need to buy land from property owners for the project? A. Yes, the City will need to acquire some property from property owners for the project. Property owners who will be affected have already been contacted. In most cases, the property the City needs to acquire are strips of land along Hausman for the widening of the roadway. Q. Will detour routes and schedules be provided in advance to the public? A. Yes. The website will have up-to-date information on upcoming closures and detours. In addition, an email notice will be provided to those who sign up for project email blasts. That being said, most of the construction will be able to happen while maintaining two-way traffic (one lane in each direction) on Hausman. Q. How do I sign up for those email blasts? A. You can sign up by entering your email address at the bottom of this webpage. Your email will not be used for any other purpose than Hausman Road updates. Once the project is finished, no other emails will be sent out. You can also unsubscribe at any time. Sign up to get project updates and emergency news directly to your email.